If you do these ‘keeps’ your journaling will become more than a habit, it will be a blessing. Many still write out their journaling thoughts, but many have moved to the Internet or mobile device for their journaling needs. The links listed are for those who have migrated to the Internet. Keep track of the blogs that are written by art journalists around the world. Create your own one-of-a-kind mixed media journals! Stamping, painting, collaging, image tranfers, and other technqiues you can incorporate in to your art journals! Unlike art journal blogs which are regularly updated and have feedback and comments pages, these are direct scans of art journal page created by artists and journals around the world! Book Report Journaling became my newest project. My daughter and I read constantly. We share our passion with my daughter’s mother in law, her friend and my sister. We began journaling about the characters, story plot and found great insights to our views and world. Aisling D´Art, BellaOnline´s Feng Shui editor, took the time to scan many many of her art journal pages to share with others interested in the craft. You can see them all here! Five Year Journal ~ Make it a Habit! 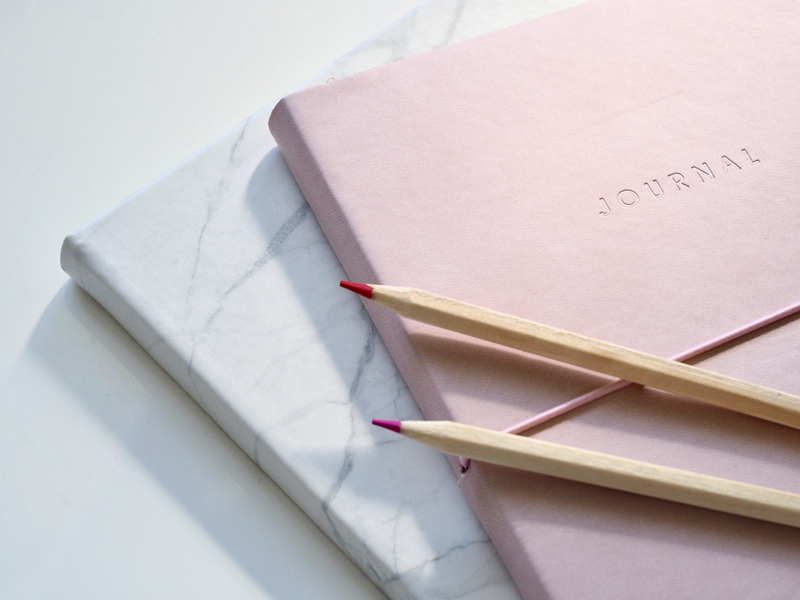 There is a simple tool called ‘One Line a Day: A Five Year Memory Book’ that is a journal perfect for those needing to build daily journal writing into a habit. Great basic information from personal site of BellaOnline´s Feng Shui host, Aisling D´Art! Most journalers are also bloggers. The term ‘sticky blog’ is not widely used but very relevant today. Bloggers are told that the layout of their website is key for return visits however this is not entirely true. Journaling has so many aspects that are easily used and abused. There are many buzz words that promise the moon but deliver disappointment and disillusion. ‘Memories of the Heart’ seem to relay the meaning of the past, long ago and forgotten events of our life. We would like to forget when a loved one died and only remember their life, we would like to forget pain of a lost love, a lost job, a bad decision, but we cannot forget. Journaling promises great changes in a persons life. Journaling promises to relieve stress. Journaling promises to be an unbiased sounding board. Journaling promises to remind us not to make the same mistakes. Right? When we hear the word ‘tools’ we think of physical instruments needed to complete a task. If you are building a house one of the tools you need is a hammer, right? However, there are many different types of tools besides the ‘physical' ones. Let's explore journaling tools together. 2011 began with the best of intentions and writing in your journal each day seem to start off strong. By this time of the year many have given up all together. Are you one of the discouraged guilty resolutionist? Rosenberg Self Esteem test has been used in over 40 countries for about 45 years. Now you can take the test and let journaling improve their self esteem in the process. What scrapbook journalers seem to always be looking out for are good journaling fonts. A good journaling font says more than just the words written. Stress and journaling go hand in hand. Clarifying thoughts and feelings when the world around seems to be caving in saves sanity and so journaling can be considered stress management.